The Basque company, FMD, specialised in the manufacture of hard metal sintered elements for tools, and of tools, will adapt its industrial management structure to achieve the objectives of increasing the efficiency and flexibility of all its processes, reducing overheads and customer response time, at the same time as it consolidates the bases for digitalising its work within the Industry 4.0 strategy. These goals are set out in its 2015-2018 Strategic Plan, which considers earmarking more than 2 million Euros to machinery for all its sections. The first new equipment to be purchased and incorporated this year were two multi-task lathes from the Basque company, CMZ. One machine has been installed in the “green” machining section and the second, higher performing, equipment, in the sintered metal machining section. These lathes can work parts of up to 500 mm in diameter. Thus, FMD has started to the lay the manufacturing bases to manufacture tools of up to 450 mm, in comparison to the maximum of 350 mm today. In agreement with the aforementioned plan it has recently purchased a cylindrical grinder that can also work parts measuring half a metre. Access to the manufacture of large-sized tools will enable it to configure a more powerful offer in the iron and steel industry and in metal transformation. To promote other diversification channels, in this case in cutting tools, FMD has launched an R&D project that has received the backing of the Hazitek programme of the Basque Government, in which Ceit and TKGune will collaborate. Basically, the objective is to design new substrata to manufacture tools that are able to machine treated materials or "ADI” casting more efficiently thanks to the use of titanium-based cermets. This plan will enhance the knowledge acquired with projects addressed five years ago to apply titanium carbonitrides. The convergence of the two diversification channels, dimensional and technological, will take place next year with the incorporation of a pre-sintering vacuum oven. A new technique that exceeds the possibilities of the traditional reducing atmosphere technique, as more complex materials, whose stoichiometry control is more difficult, can be handled. It also reduces gas consumption. 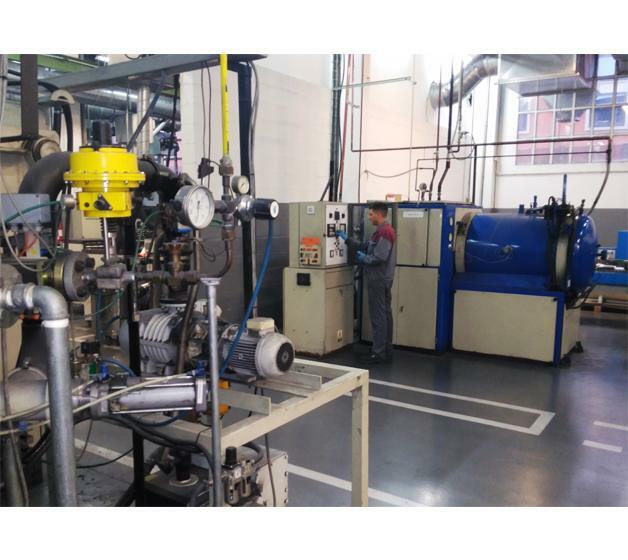 Only the purchase of a sintering oven, able to treat larger-sized tools, will remain in the portfolio, to complete the circle. This investment will be addressed in a second phase unless the investment plan picks up pace as a result of the sale of its 12,000 sq.m. plot of land in the peninsula of Zorrozaurre (Bilbao), where its activity was located in the past. The equipment plan will also affect the grinding and drying section, introducing systems that will increase the raw material preparation capacity by 50 percent, enabling the company to attend to the future growth of demand and incorporate new products into its catalogue. Another intensive chapter in the organisation’s effort to guide all its activity towards Industry 4.0. The work focuses on the graphic and digital modelling of all the production processes. This is a very complex task given that they receive an average of 15,000 orders per year, which require between 8 and 10 operations. Work has made considerable progress thanks to the design of a software application and a very powerful algorithm that will give rise to this cultural change that will be consolidated in the coming years and will enable them to improve traceability, thus reducing overheads. The FMD management team is also proud of obtaining the ASLE “Txemi Cantera” award, above all because “the cultural change that has taken place in the company, that it has understood and applied a model that the organisation has known how to adapt in order to successfully respond to the new situation” was taken into consideration. They were also given as an “example to other labour corporations, as they apply a comprehensive leadership that makes it possible for all people to enter as partners, managing the company based on values”. FMD, with a history of more than 40 years, has consolidated an average workforce of 58 workers, 34 of whom are partners.